At Jerry’s Vacuum Center, we’ve provided maintenance and repairs on vacuum cleaners of every make and model since 1979 in Mandan and the surrounding areas. Is your vacuum not doing a thorough job of cleaning the carpets in your home or business? Proper maintenance and timely repairs are crucial to proper function and will help extend its life. At Jerry’s Vacuum Center, we’re on a mission to help our clients get optimal performance from their vacuums. We repair all Kirby models in our shop, usually in less than 24 hours! We sell used Kirby vacuums, too! With nearly 40 years of experience in vacuum cleaner repair, there isn’t much we haven’t seen or many models we haven’t worked on. We provide estimates on all machines and will wait for word from you before beginning any repair work. While we can fix almost any issue, there are times when the cost of repairs might be better put into the price of a new machine. Because we have an honest approach to business, we’ll be upfront about such things and can even show you the new models we carry that would meet your needs. At Jerry’s Vacuum Center, all repairs are done in-house by the knowledgeable technicians in our service department. We provide the warranty work on all of the vacuums and rug cleaners we sell, and will work on any brand or model, even if we don’t sell it in our shop! 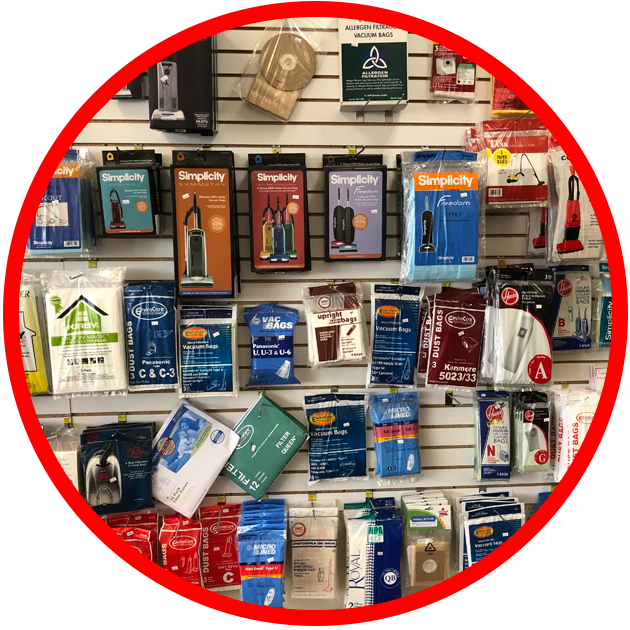 For the do-it-yourselfer, Jerry’s carries a wide selection of parts and accessories, including belts for hard-to-find products!